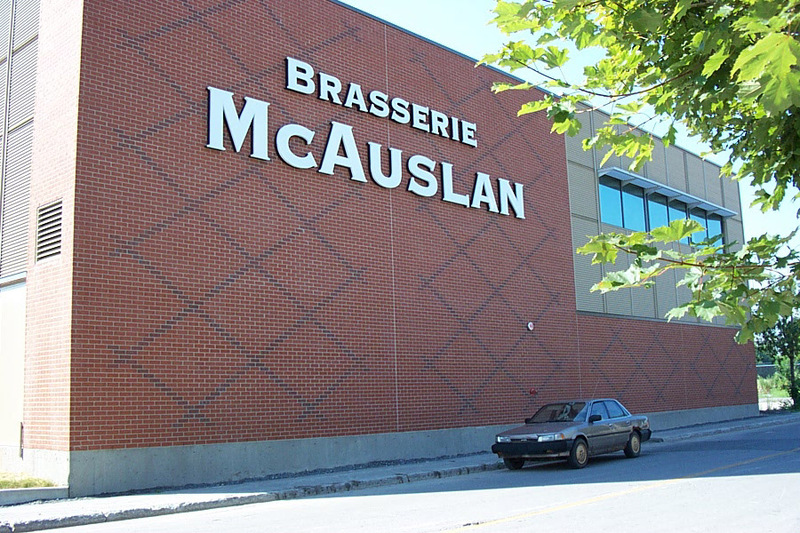 McAuslan Brewing was created in 1989 by founders Peter McAuslan and Ellen Bounsal. 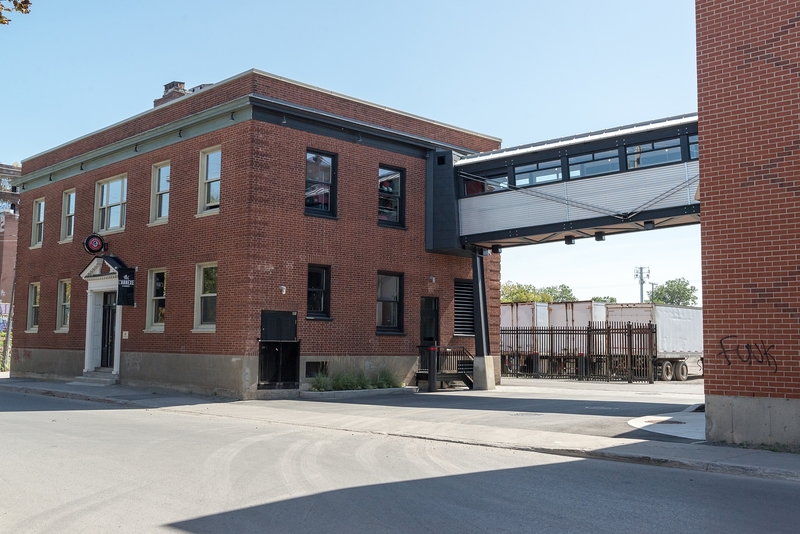 Operations began in a converted warehouse space on St. Ambroise Street in Montreal’s St. Henry district. 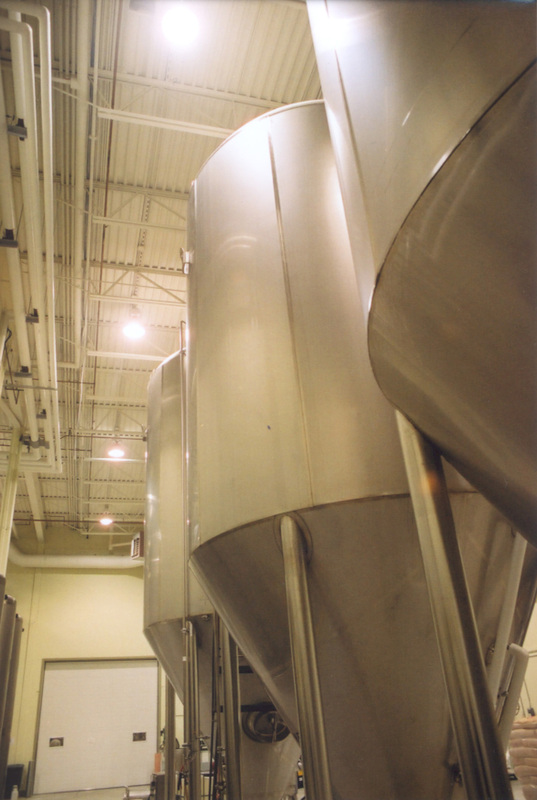 The exceptional quality of the brand was quickly recognized and earned countless awards, including medals at the World Beer Championships (1994), the World Beer Cup (1996) and the Great Canadian Beer Challenge (1998) among many others. 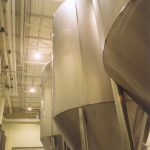 In 2001, Peter McAuslan approached Grenier + Richards Architecture to design and build a new brewery to accommodate the growing production needs. Peter McAuslan and Paul Grenier visited and evaluated dozens of potential locations. In the end, a site was chosen just a few hundred meters to the west of the original brewery. After twelve years on St. Ambroise Street, the brewery felt rooted in the community and was an active participant in the local arts scene. Another advantage of the site was its proximity to, and direct access from, the popular Lachine Canal bike path. 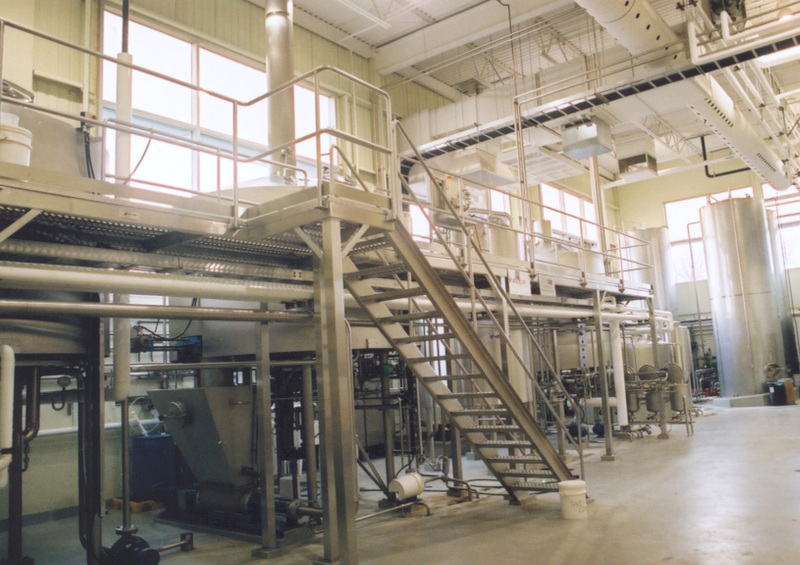 The new facility has a total floor area of 3,470 m2 (37,370 ft2) including a state-of-the art brew house, fermentation tanks, bottling and packaging lines. 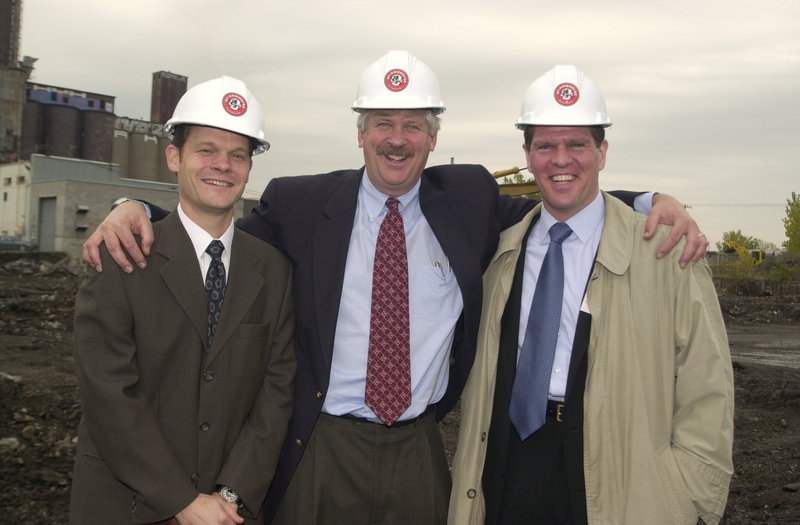 The site of the new brewery was formerly the home of E.J. Maxwell and Company, lumber dealers. 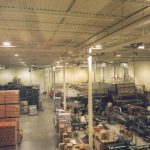 When the brewery purchased the land, the original office building of the lumber company was remarkably well preserved and was an additional incentive for McAuslan to choose this site. 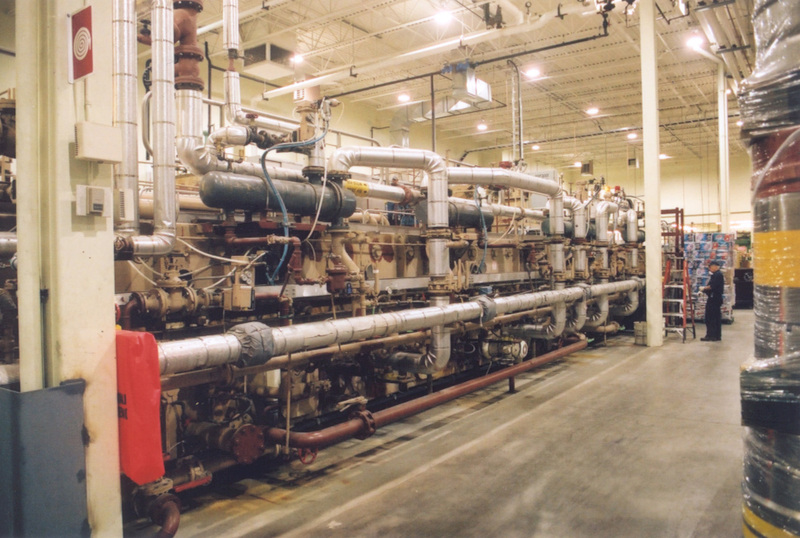 In 2002, GRA was mandated to undertake interior and exterior renovations of the Maxwell Building. 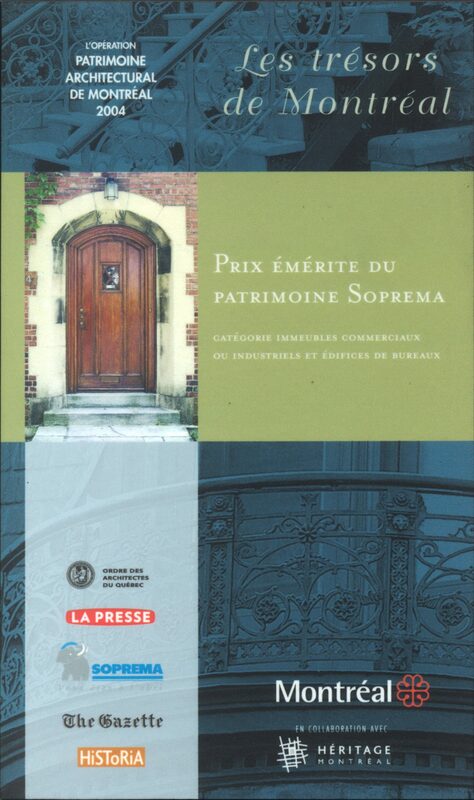 In 2004, these renovations were awarded a prize from Montréal’s Architectural Heritage Campaign. Built at the beginning of the 40s, the E.J. Maxwell building (E.J. Maxwell Ltd – Wood Merchants) was vacant and boarded up for a number of years. The new owner, started renovation and restoration work in 2002 in order to give it back its original lustre. 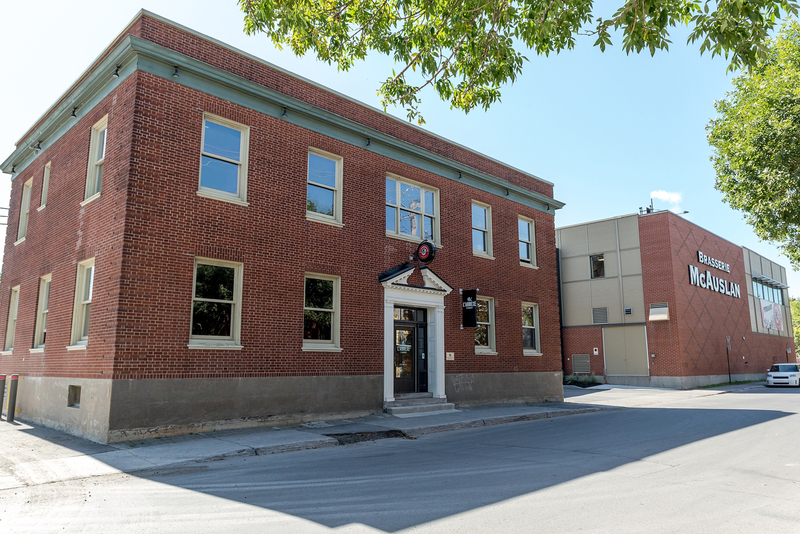 The work was done meticulously thus enhancing both the building and Saint-Ambroise Street where it is located. The Maxwell Building, renamed the Annexe, is the now the home of the McAuslan brew pub. 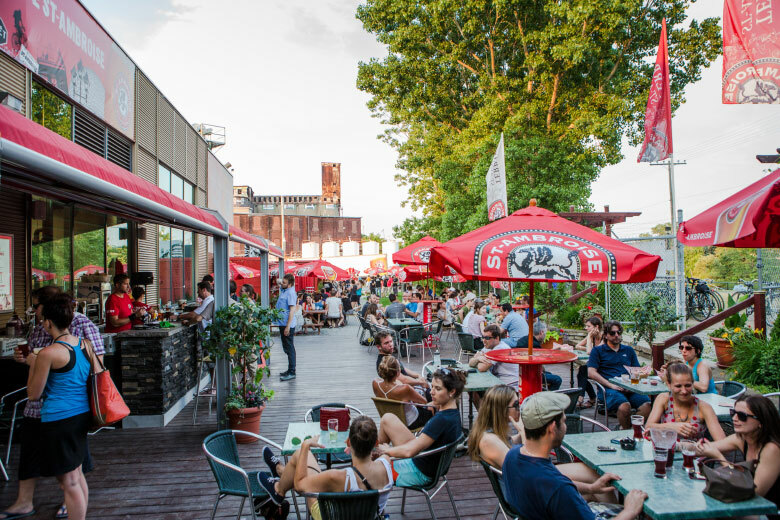 The proximity of the Lachine Canal bike path provides a unique opportunity for the brewery to connect to the community. In 2002, an outdoor terrace was constructed between the building and the bike path. Easily accessible by cyclists and in-line skaters, the terrace has become a convivial gathering point for the entire neighbourhood. As the success of the terrace grew, amenities have been added; a small performance stage, an outdoor bar, a festive canopy and flower beds. As the popularity of the terrace exploded, still more infrastructure was needed. 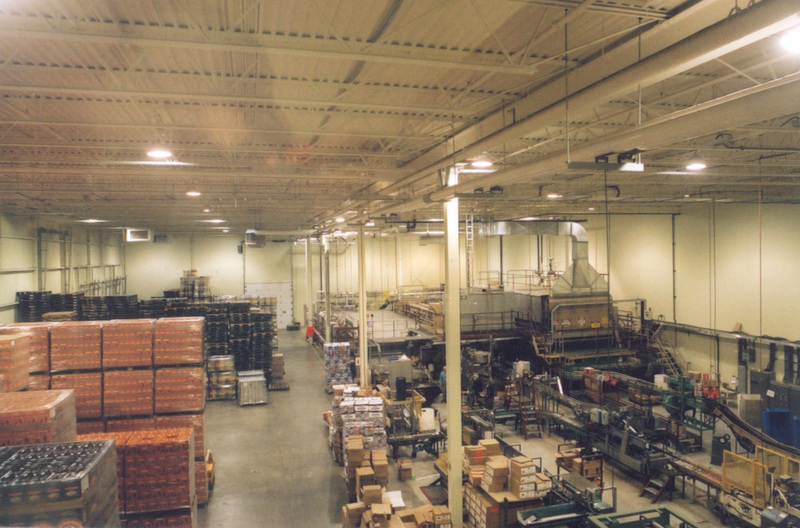 A kitchen, a walk-in beer fridge and additional toilets were installed in 2012. 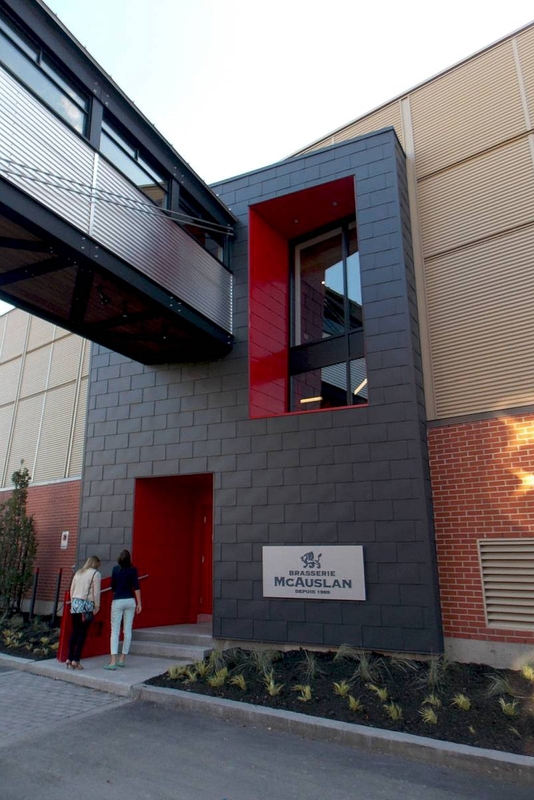 These most recent improvements are housed in recycled, marine shipping containers, painted the iconic McAuslan red. 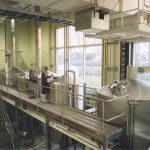 After 25 years of running the brewery, Peter McAuslan and his wife, Ellen Bounsal, decided it was time to step back from the company they had created, nurtured and brought to international acclaim. 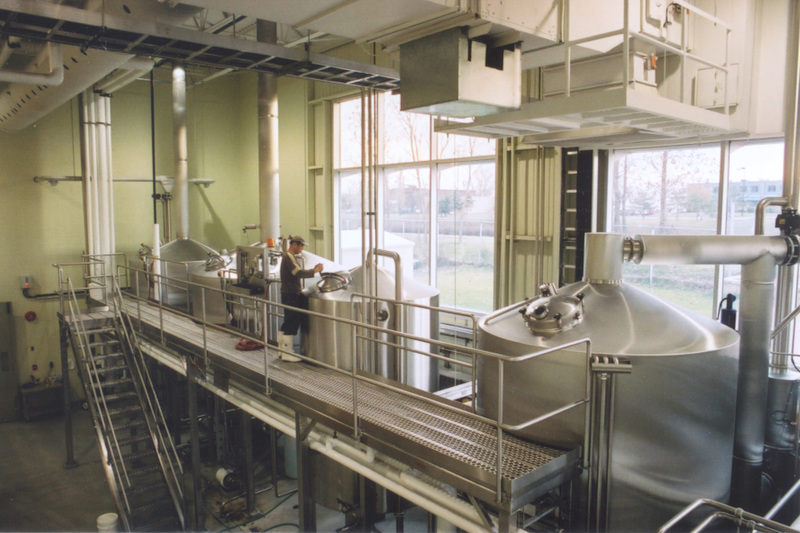 In 2013, the brewery was sold to Les Brasseurs RJ. 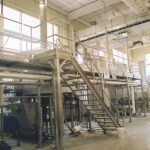 The first construction project undertaken by the new owners was to create a passerelle connecting the second floor of the historic Maxwell Building with office mezzanine of the modern brewery. Grenier + Richards Architecture, in consortium with Pierre Archambault Architect, brought this delightful intervention to completion in 2014. In addition to facilitating the circulation between the two buildings, the new structure acts as a physical and figurative gateway to the working heart of the brewery. 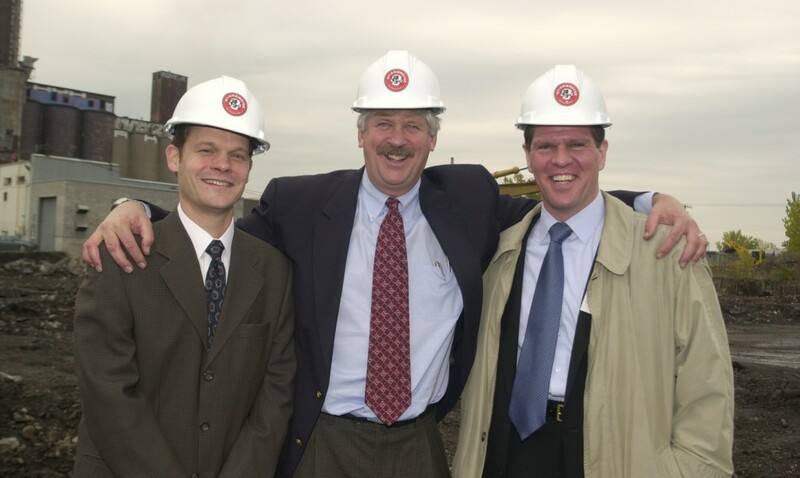 The new owners have exciting plans for the future of the brewery. 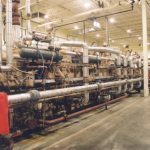 Additional information will be posted to this website when developments have been approved for public presentation.